Jennifer Del Prete smiles minutes after being released from prison in 2014 more than 10 years before her scheduled parole. A judge vacated Del Prete’s murder conviction on Monday. 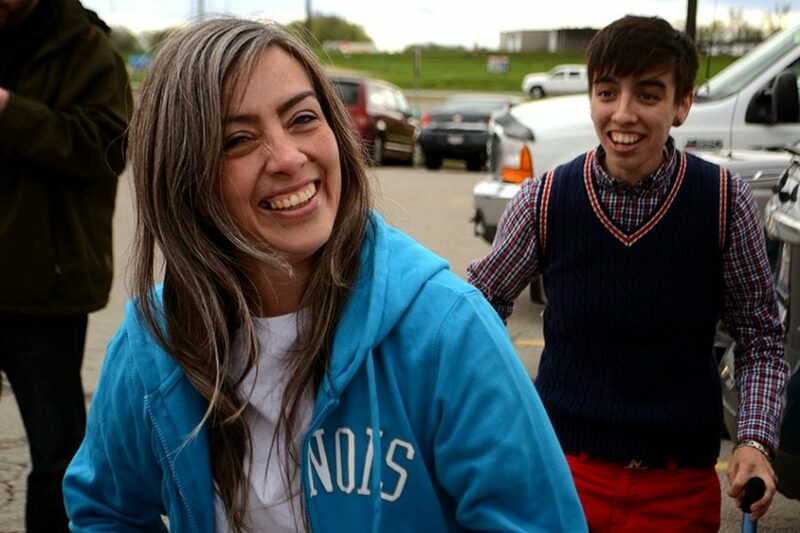 A circuit court judge vacated the murder conviction of Jennifer Del Prete and ordered a new trial on Monday, more than two years after she was released from prison following an investigation by the Medill Justice Project. Del Prete, 45, worked as a daycare worker in Romeoville, Illinois, when she was accused of violently shaking an infant under her care and convicted of first-degree murder in 2005. Nine years later — after an investigation conducted by the MJP — a federal judge released Del Prete from prison, but her murder conviction remained in place until Monday. “It’s quite a significant action because, for one, the students working at the Medill Justice Project played a significant role in the release of Jennifer Del Prete and also in today’s action with the judge vacating the conviction,” said Medill Prof. Alec Klein, director of MJP. Del Prete was released from prison on bond more than two years ago when a federal judge ruled that no reasonable jury would have convicted her based on the evidence, Klein said. Despite the ruling, however, the ongoing state court proceedings continued until Monday, when Will County Circuit Court Judge Carla Alessio Policandriotes denied the state’s motion to dismiss Del Prete’s post-conviction petition, reversed her conviction and ordered a new trial. Del Prete could work when she was released on bail from her 20-year sentence in 2014, but it was difficult to find a job due to her status as a convicted felon, Klein said. Eight years after Del Prete’s conviction in 2005, MJP discovered a letter suggesting her innocence written by a detective on her case, Klein said. Del Prete and her lawyers did not know of the letter’s existence before MJP’s investigation and requested the judge accept it as new evidence. Del Prete’s lawyers then requested the federal judge reopen a “federal innocence hearing” to answer for this new information. In a rare action, Klein said, the judge granted the request. The reversal came as a surprise to some of the students who originally worked on the case. Clarification: This story has been updated to clarify that the Medill Justice Project investigated Del Prete’s case and does not consider her a client.